Patio/Balcony enclosure are the most advanced solution to enclose exterior spaces. Our latest generation of products combine the flexibility to enclose and open large openings while protecting your outdoor spaces against weather influences. All our products are made to size and gets customized to be the perfect fit for the application. designed to protect outdoor spaces like balconies while still offering the ability to open the space and to clean the exterior side of the glass. 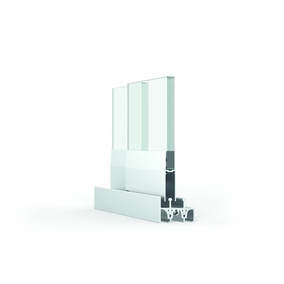 This is the worlds first bottom loaded all glass slide and turn system running on vertical rollers with the capability to move over any angle up to 90 deg. This product offers a better insulation, a better sound transmission control and a better tightness than the all glass enclosures. The IG unit also helps to reduce condensation, when heating the outdoor space temporary for entertaining etc.